Chronicles of Darkness PDF available now from Onyx Path! In the shadows and between the cracks of our everyday lives hide the Chronicles of Darkness. Here lurk creatures of ancient myth and urban legend. Here lie the graves of angels and the bunkers of secret government programs. Here every malformed horror you’ve ever seen out of the corner of your eye has a home. And they’ve seen you. – A guide to creating characters to explore a world of modern horror, from hopes and fears to psychic powers. – Dramatic rules for investigation, social manipulation, and bone-crunching violence. 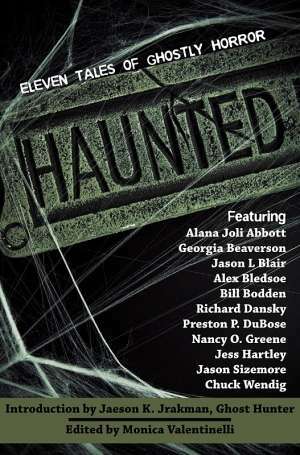 – Over a dozen monsters straight out of weird fiction and urban legend… plus complete rules for creating your own. – The God-Machine Chronicle, a massive collection of sample characters and techgnostic adventures. – Formerly titled nWoD Core Rulebook 2nd Edition. The advance PDF version of the Chronicles of Darkness RPG from Onyx Path Publishing is now available at the Flames Rising RPGNow Shop! Onyx Path Publishing and White Wolf Publishing are proud to announce that Chronicles of Darkness is now the overall brand name for the series of game lines previously called the New World of Darkness. These game lines include Vampire: the Requiem 2nd Edition, Werewolf: the Forsaken 2nd Edition, Mage: the Awakening 2nd Edition, Promethean: the Created 2nd Edition, Changeling: the Lost 2nd Edition, Hunter: the Vigil 2nd Edition, Geist: the Sin-Eaters, Mummy: the Curse, Demon: the Descent, and Beast: the Primordial, as well as any upcoming projects and game lines. 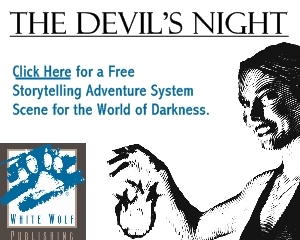 The purpose behind Chronicles of Darkness is to enable the game lines of the first World of Darkness that started in 1991 and the New World of Darkness that started in 2004, to coexist as distinct and different settings. Onyx Path’s ongoing publication of the 2nd Edition core books has already evolved the Chronicles of Darkness game lines into their own unique settings, and this change in the overall title will allow our creative teams to further explore these game lines’ own themes and tone. Beyond the main title change, we are moving forward with the 2nd Editions and other projects previously announced as nWoD projects with only a slight hiccup as we change to the Chronicles of Darkness title. And, as an example, here is the book that has been the most affected by this change, the Chronicles of Darkness Core Rulebook that was previously titled nWoD Core Rulebook 2nd Edition. And by “most affected” I mean that we had to change the cover and a ton of interior references. We didn’t have to remove anything, though, and the text, including all of the core rules for mortal characters in the setting (including new gadget-building and investigation systems), as well as all of the adventures and storytelling advice originally featured in The God-Machine Chronicle. Check out the full press release from Rich Thomas over at TheOnyxPath.com.